As you know, the EU has mandated the search engines to remove content that might be harmful to people on a case by case basis. Google launched a form for this removal and began removing this content. They even started an advisory council to help them with these decisions. But they are working on it. I guess let's see how Google does it and then do it a bit better. 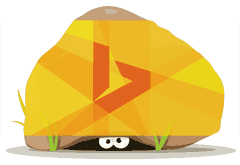 The big question for webmasters and SEOs, will people submit as many requests to Bing as they did for Google? Likely not.